Happy National Shrimp Day! Observed annually on May 10, Americans eat more shrimp than any other seafood. Follow simple food safety guidelines to ensure your shrimp are properly selected, prepared, and cooked to be enjoyed safely. 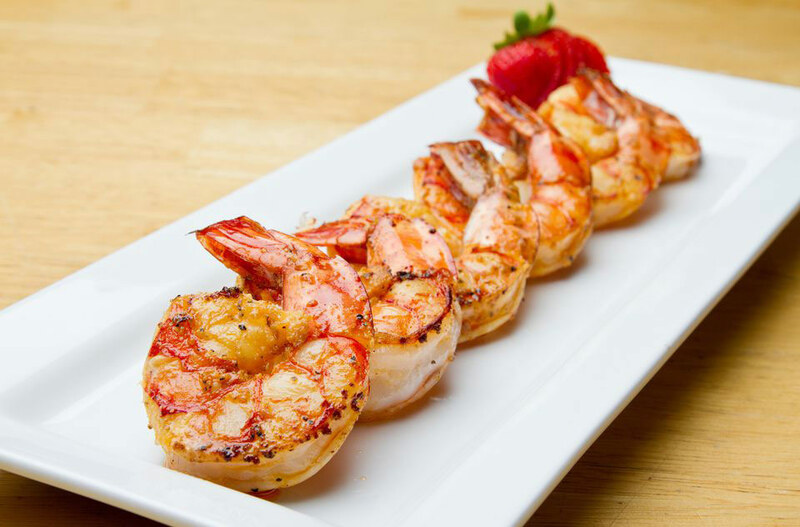 So, whether you barbecue it, boil it, broil it, bake it, sauté it, be sure to cook your shrimp to 145°F for at least 15 seconds so as safely enjoy and avoid foodborne illness. 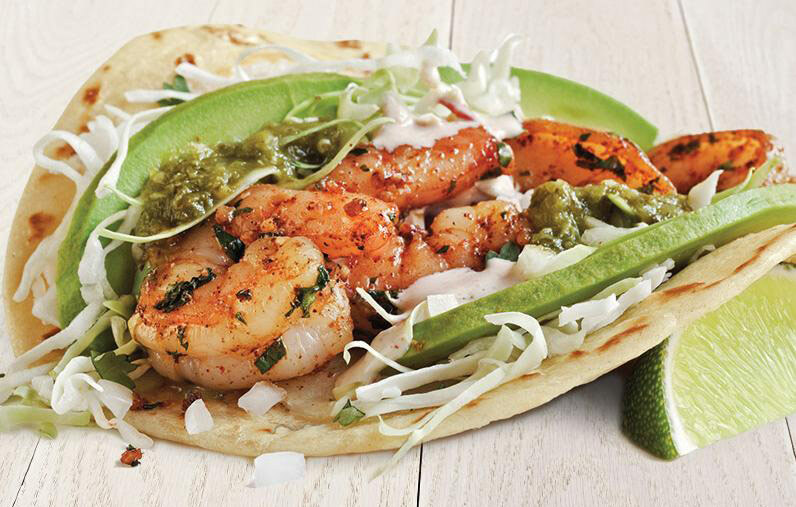 Look for deals and share your favorite shrimp dish on social media using #NationalShrimpDay. Unless you live on the East, West, or Gulf Coast, in all likelihood, the shrimp you buy from your local supermarket or fish market is imported. Ninety percent of the shrimp we eat in the U.S. is imported. Likewise, less than 2 percent of the world’s farmed shrimp is inspected by the USDA. So, it’s best to go with local wild-caught shrimp, rather than farmed shrimp that may have been treated with banned chemicals, antibiotics, pesticides, or other contaminants. If you must buy farm-raised shrimp, look for the “Best Aquaculture Practices Label” issued by the nonprofit Aquaculture Certification Council. Most shrimp sold as “fresh” at supermarket seafood counters have been flash frozen, then defrosted prior to sale. But, if you’re lucky enough to have a local fish market that is serviced by day boats, buy fresh. Otherwise, purchase shrimp that was frozen right after harvest. Shrimp freezes well—a lot better than fin fish. 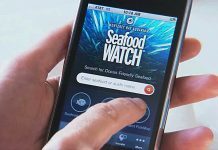 Ask if you can get a closer look at the shrimp that is available at the seafood department of your grocer or at a fish market. Check that the head with antennae is still attached. Avoid any shrimp with missing or shrunken eyes. Instead the eyes should have a prominent appearance in the head and appear glossy or shiny. Avoid yellowing near the tail or swimmerets of the shrimp, as this is a sign of excess Sodium Bisulfate usage. Smell the shrimp for any offensive odors. Avoid any shrimp that has a rotten egg or ammonia smell, as this is an indication of decomposition. Be wary of chlorine smells as well as this is often used to mask offensive odors of shrimp that were not handled properly. Fresh shrimp should not have a strong odor and should smell of seawater or of seaweed. Educate yourself on the correct color for the type of shrimp that you are interested in so that you can detect abnormal color. Ask if you can touch one of the shrimp to make sure it feels moist and firm. Don’t purchase it if it is dry and tough, as this is a sign that it has been frozen for a long period of time. A chalky or mushy texture is also a sign that shrimp is not fresh and has been handled improperly. If it is slimy, this is an indication that the shrimp has been frozen and is not fresh. A slimy feel comes from too much Sodium Tripolyphosphate, which is used to reduce dehydration during freezing. 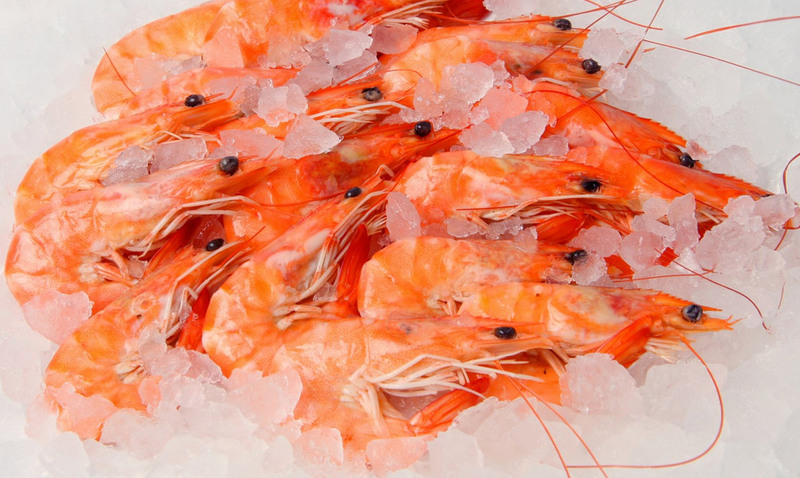 Place shrimp or other seafood on ice or in the refrigerator or freezer soon after buying it. 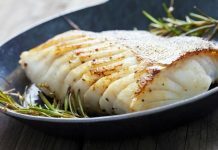 If seafood will be used within 2 days after purchase, store it in the refrigerator. Otherwise, wrap it tightly in plastic, foil, or moisture-proof paper and store it in the freezer. 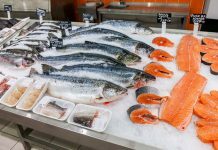 When buying unpackaged cooked seafood, make sure it is physically separated from raw seafood. It should be in its own display case or separated from raw product by dividers. Kitchen sanitizers should be used on cutting boards and counter tops after use. Or use a solution of one tablespoon of unscented, liquid chlorine bleach to one gallon of water. Never leave shrimp or other seafood or other perishable food out of the refrigerator for more than 2 hours or on ice for more than 1 hour when temperatures are above 90ºF. Bacteria that can cause illness grow quickly at warm temperatures (between 40ºF and 140ºF).